Are you experiencing sciatica or lower back pain? Do you need to relax and escape from the stresses of daily life? 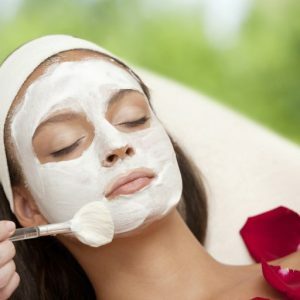 Feel rejuventated, at peace and relaxed through a variety of massage techniques in a safe and professional environment geared just for you. Grab a massage at My Hands On … you won’t regret it! Always professional – always memorable! Each massage is tailored to the individual client’s needs, while using a mix of remedial, deep tissue and relaxation techniques. Karyn is a qualified remedial massage therapist in private practice since 2002. Her massages incorporate Swedish, remedial, myofascial release & deep tissue where it’s needed. She also offers traditional cupping, trigger point therapy & treatment for sports injuries. She has been working in Sydney’s 5 star hotels for the past 10yrs, offering Swedish & Remedial massages in a very professional manner. My Hands On massage has had clients such as Natalie Bassingthwaite, Rubi Rose (MTV & Orange is the new black), Reni Maitua (Parramatta Eels), Kirsten Dunst (Spiderman), Stan Lee (Marvel Comics Creator) and many more. She also works with clients who are in need of posture retraining and guidance to improve their posture; this in turn reduces muscle imbalance and pain. Karyn begins your consultation with a thorough health & lifestyle history. This is to ensure she is aware of any past or current problems before the treatment. Servicing Sydney-wide, Karyn is more than happy to come to your home. Nothing changes, you still receive the same high quality massage and expertise but in the privacy and safety of your own home. More people today are choosing the in-home massage; there’s no rush, and no preparation, Karyn brings in everything that is needed to make the next hour of your life relaxing and rejuvenating. *Note: Hair treatment only available with mobile bookings. *Please call to enquire about Mobile prices, as they depend on the area. – some private health rebates are available where applicable. Please enquire prior to the therapy session for peace of mind. 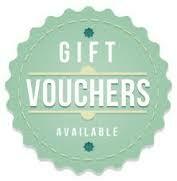 GIFT VOUCHERS – a great gift to give to someone you care about! Just contact Karyn to organise delivery.